Matthew Turner was born with a unique ability. Anytime he touches an object, his mind is suddenly flooded with the thoughts and feelings of those who touched it — especially any strong emotions caused by traumatic events. It's akin to experiencing a point-of-view film while trapped in a trance. While many people see this talent as a gift, Turner considers it a curse. Living with the uncontrollable ability to read imprints from objects requires considerable care. Touch the wrong object and you can be unexpectedly transported into someone else's nightmare or traumatic memory. He knows how that feels all too well. When his father discovered that Matthew's presumed narcolepsy was something much more extraordinary, he immediately put his son to work. He would smuggle criminal evidence home from work at the police department to screen them for imprints. Never fully appreciating the pain it caused his son and sometimes justifying his action for outcomes, Matthew's father subjected him to objects involved in robberies, murders, and child abductions. The abuse was relentless, rewarded with nothing more than a slice of pizza or pat on the back. The Dig is a series opener with tremendous potential. As dark as the premise sounds, Siemsen keeps his storytelling surprisingly light as he introduces Turner, who has managed to make the most of his curse. The young adult has transformed his life into something relatively secluded but affluent. Only a handful of people working in paleontology know about his gift and pay him handsomely for it. The trade offs, as always, are stunted relationships, solitary living, and never being able to go outside without preparation. Pants, hats, and gloves are his only protection from random imprints. 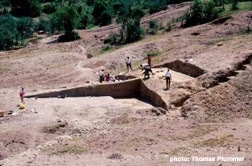 All this isolation changes, however, when his foundation benefactors come up with something else — a mysterious woven metal artifact found at a paleontological dig in Africa. While this discovery wouldn't seem strange on its face, the find is as unique as Turner's gift. The metal predates human history by millions of years, with the implications limitless. Was there intelligent life long before humans walked the planet? Did humans evolve from a previously undiscovered race of sentient being? Or is this proof that aliens have visited Earth for centuries? Given that the find could rewrite everything we know about human history, Matthew decides to break his own reclusive protocols and travel to the dig in Kenya. It's a trip that could immediately prove harrowing for someone like him. Coming into contact with the wrong thing in a third-world country might unlock any number of untold memories. A few graphs about Michael Siemsen and The Dig. Michael Siemsen grew up in Venice, California, and had an early interest in the performing arts. But despite attending the prestigious Alexander Hamilton Academy in Los Angeles, he chose to follow closer in his father's footsteps and enlisted in the U.S. Army. When he returned, rather than become a police officer like his father, Siemsen began writing short stories and screenplays and directing short films and music videos. 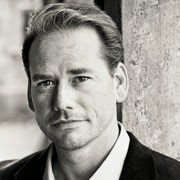 Over time, he transitioned to become a full-time novelist and moved to northern California to raise his family. Over the years, Siemsen has developed a style that is one part intellectual and one part punk. Indeed, The Dig kicks off his series with a dizzying premise but sometimes undercuts the depth of it with Turner's immaturity. Simply put, Turner is a adult adolescent and sometimes the people around come across that way too. The storytelling is entertaining, and sometimes so straightforward that some readers will ache for something more than is ever delivered. And it's these readers who will feel especially cheated when Siemsen rushes to wrap the end on a cliffhanger of sorts, with present day story complete but the glimpse into ancient history just getting started. The Dig By Michael Siemsen Dusts Off 5.8 On The Liquid Hip Richter Scale. The story is a riveting page turner built around a fresh premise that straddles time travel and alternative histories without ever traveling through time. The only shortcoming is that the plot is so linear, nothing will ever catch you by surprise. Siemsen more than makes up for it with his ability for storytelling, even if you wonder whether it would have been better billed as young adult fiction. 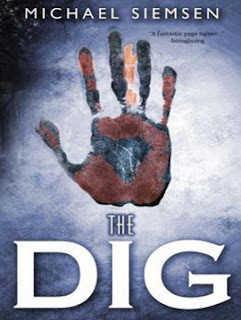 The Dig by Michael Siemsen is available on Amazon. You can also order the novel from Barnes & Noble. The audio version, narrated by Chris Patton, starts clunky but eventually evens out with a narration that gives the book a lift as a near-thriller.